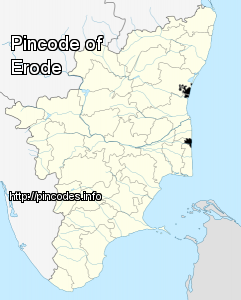 Erode ([iːroːɽɯ]) is a city in the South Indian state of Tamil Nadu. Erode is the seventh largest urban agglomeration in Tamil Nadu and is the administrative headquarters of Erode District. Located on the banks of River Kaveri, it was part of historical Kongu Nadu and has been ruled at different times by the Cheras, Early Pandyas, Medieval Cholas, Later Cholas, Vijayanagar Empire, Madurai Nayaks, kingdom of Mysore, Carnatic kingdom and the British. It is situated at the center of the South Indian Peninsula, about 400 kilometres (249�mi) southwest of the state capital Chennai and about 80 kilometres (50�mi) east of Coimbatore. On July 27 an inspector at Anthiyur, Subramaniam, was also suspended from service, four days prior to retirement as there was a case pending against him in the Vachathi case. The school authorities rushed the boys to Sivagiri Government Hospital, from where they were referred to Government Headquarters Hospital here.